Simplifies the loading of large and heavy workpieces - e.g. door production. For the optimization for pressing procedures in small and mid-size companies. With the new press-model HDP can be reacted to the growing demands of production outputs and optimal pressing results. The machine has a reasonable prize and through the ideal handling a brief amortisation is enable. 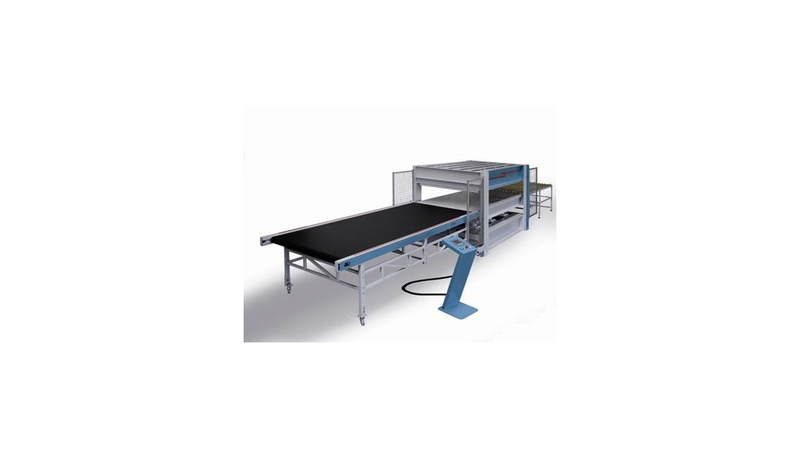 The plant exists of a solid charging table, the hydraulic hot press combined with belt-driven transportation unit and an out-feed roller table. Your request + our ideas = optimal advantage!